Using synthesizers, electronics, outboard processing gear and an array of exotic instruments, Belgian electronic musician Vidna Obmana creates an extended musical journey through rhythms, soundworlds and sonic atmospheres. Dirk Serries chose the name Vidna Obmana for his musical persona because it is a Slavic term that translates as "optical illusion", a concept which correlates sonically with the surreal, alternate sound worlds depicted in his music. A prolific composer, Vidna Obmana has built a diverse body of work, ranging from post-industrial to gently atmospheric, tribal ambient to more traditional forms. His compositions utilize slow, shifting electronic figures to construct long, minimalist, often extremely personal textural works. 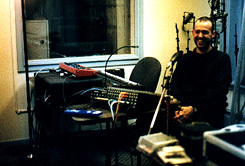 Throughout his career, Vidna Obmana has explored the abrasive side of electronic composition, the freeform landscapes of the isolationist ambient aesthetic, the structured interactivity of Fourth World soundscapess, international music traditions and post-classical experimentations. 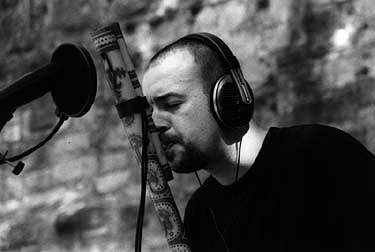 His music has been released widely by a range of independent labels worldwide, including: Amplexus, Extreme, Hic Sunt Leones, Hypnos, Mirage, Multimood, ND, Projekt and others. A major portion of Vidna Obmana's work has been realized in collaboration with some of the world's most interesting musicians. 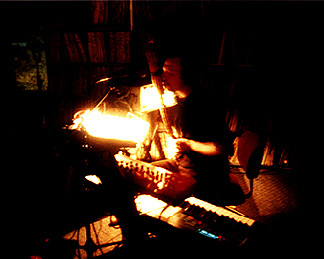 He has recorded full-length releases with Alio Die, PBK, Jeff Pearce, Steve Roach, Djen Ajakan Shean and Asmus Tietchens. Vidna Obmana returned to Philadelphia for a concert with long-time friend and collaborator Steve Roach. 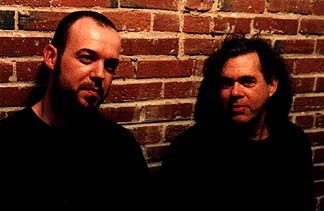 The duo performed two shows together at The Gatherings Concert Series on 26 May 2002 within the reverberant and atmospheric setting of St. Mary's Hamilton Village in University City Philadelphia. This concert was the Ambient/Spacemusic portion of the ProjektFest 3 Day Event which will took place in Philadelphia over the Memorial Day Weekend. While together in Philadelphia, the duo also took time to do some recording. The resulting album was released in late 2003 as is titled: Spirit Dome.